I wanted to share my super cute Spooky Nerd outfit with you today! I designed this shirt myself. You can get it in my Spreadshirt shop. I wore this outfit out to lunch with my BFF Jessie. 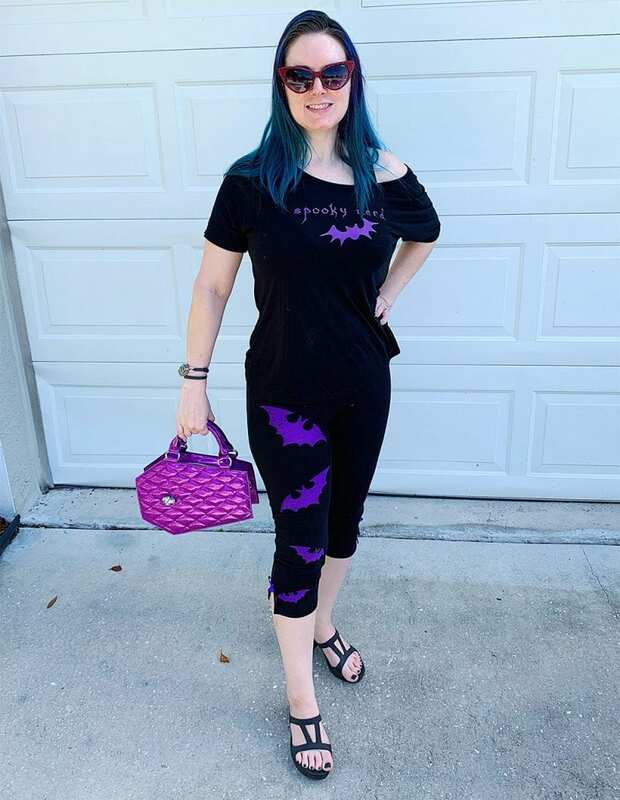 Prior to this past Tuesday, I’ve never worn leggings without a tunic top, but since I think I looked killer in my edgy rocker chic outfit, I figured today would be a great day to wear my Bat-Tastic Capri Pants, which truly are more like leggings because of how thin they are. 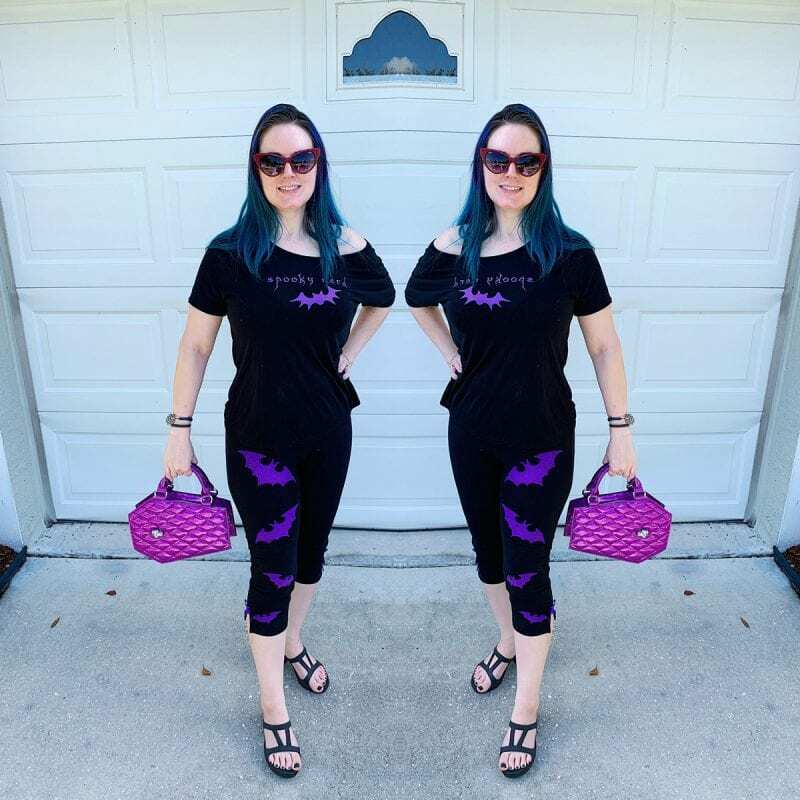 I love the bat appliqué on these pants so much, but I’ve rarely worn them because I don’t have a ton of tunic tops. Clearly, I need to throw out that rule about wearing leggings only with tunics because I love how this outfit turned out too! 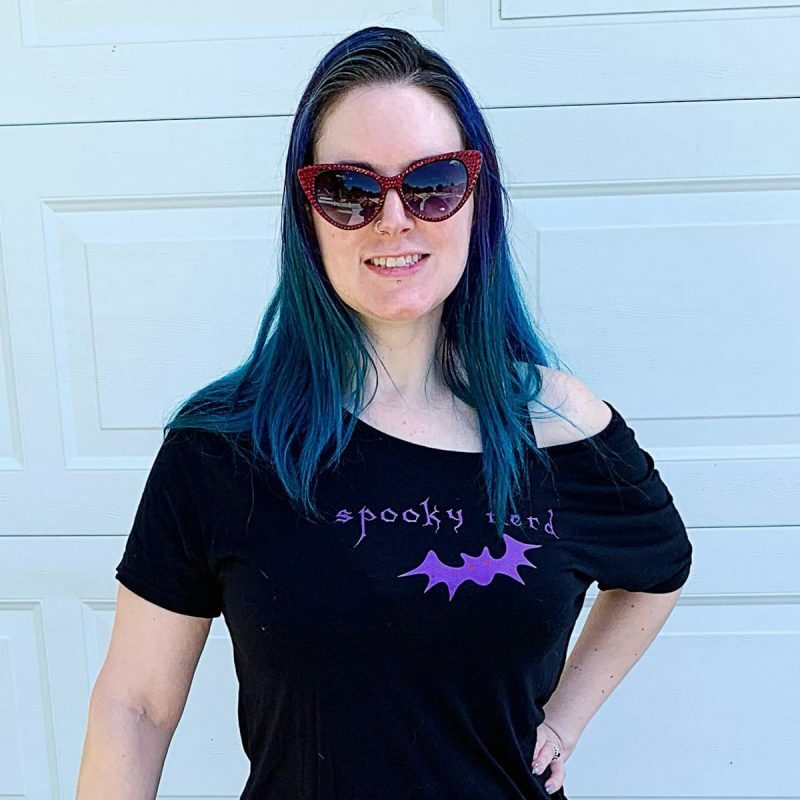 My Spooky Nerd shirt is a flowy t-shirt design that allows for an off the shoulder look, which I prefer, or you can wear it centered. The t-shirt material is thin and super soft, making it ideal for hot climates. I’m wearing size Medium, which is perfect for the off the shoulder look I love. I would wear a Small if I wanted it to stay on both shoulders. I adore my Lux De Ville Elvira Coffin Bag in Electric Purple because of how cute it is. However, it doesn’t hold much! It can barely hold my wallet, keys, hairbrush and mints. I really only use it on days like today when I’m going out to grab lunch with a friend. The black Croc heels are a pair of shoes I’ve had forever for cosplay and conventions. I wanted a little bit of heel since my pants showed off my calves. Anyway, I love my Spooky Nerd outfit! It’s just so cute and a little retro. 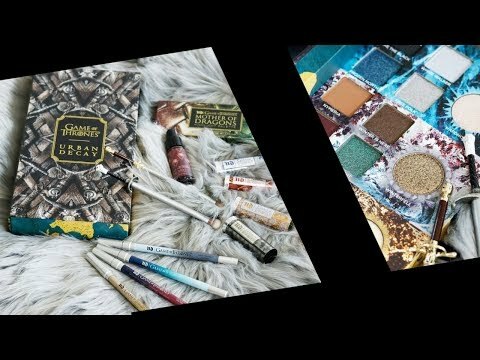 How would you style this top?